New Year's Resolutions: Who's Best Off in 2019? - KUAM.com-KUAM News: On Air. Online. On Demand. New Year's Resolutions: Who's Best Off in 2019? Sound cynical? That’s because according to a plethora of recent polls, most Americans will abandon their New Year’s resolutions by February. Last year, Inc. forecasted, using the most recently available modeling, that a measly 9% of us would see our newfound goals through. Of course, the figures vary—a 2014 Marist poll saw almost 60% of New Year’s resolvers break their promises. According to a 2015 US News report, 80% of resolutions are bound to fail due to the scope of their ambition and humans’ fundamental (albeit surmountable) unwillingness to change. No matter the source or report, the trend remains consistent: we’re really not cut out for this whole resolution thing. But if we can’t always keep these promises to ourselves, we can at least analyze why we make the resolutions we do. Who’s making—and breaking—which goals as we head into 2019? Does employment status impact our thinking when it comes to “new year, new me” reveries? How about our level of education? And let’s not forget the question on everyone’s minds—could driving behavior correlate with our new-year wishes? Insurify’s data scientists thought just that, and delved into troves of recent data to investigate. Read on to see what they found! From the response data, Insurify’s data team was able to determine the significant differences in reported driver behavior (and other demographic data) between respondents. New Year’s Resolutions: Where Do Drivers Diverge? 2019 just might be the year we all finally reach peak thriftiness! While over 60% of respondents reported wanting to make tangible lifestyle changes in the forms of spending less and eating better, nearly 20% of the users surveyed reported having no resolution for this year—or at least did not see themselves reflected among these often popular lifestyle changes. Some people just live for the hustle. As it happens, current employment status correlated with the likelihood of reporting certain resolutions. 75.1% of those who resolved to save more money in 2019 identified as currently employed. Likewise, 75.3% of those in the “eat healthy” camp have jobs. Overall, employed respondents were about 1.18 times more likely to report having one of these resolutions rather than have none at all. Furthermore, 80.6% of those who reported wanting to master a new skill in 2019 were employed. We get it—in this climate, sometimes job security can bring out the idealist in us. 3. Giving it the ol’ college try. Of note is that roughly 17% of respondents for the “eat healthier,” “exercise more,” and “change my educational/career path” resolutions identified as students. However, only 14% of those who wished to “save more money” were currently matriculated students. Don’t worry—most of you will have loans to pay off soon enough. 4. There’s (education) levels to this. Educational attainment is a much-touted and highly valued aspect of someone’s personal and professional profile. As it happens, maybe those bachelor’s degrees and one’s new-year resolve go hand in hand. 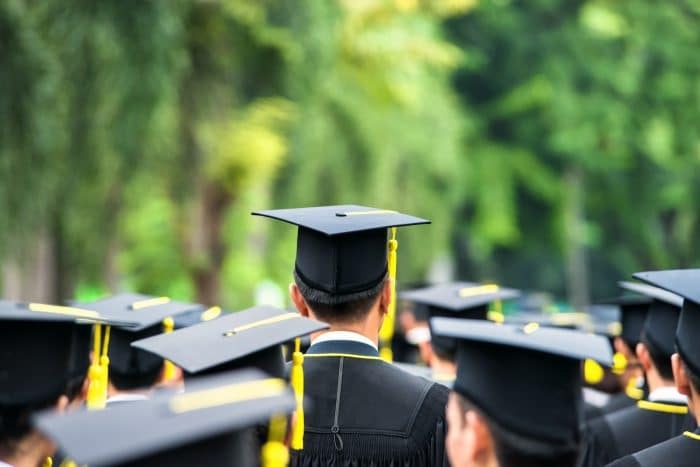 Among respondents who resolved to save more money in 2019 this year, only 14.2% had a bachelor’s degree or higher. Similarly, only 12.7% of those who reported wishing to change their career path had a BA, BS, or BFA in the bag. Compare these figures to the proportion of those who vowed to exercise more (25.3% had a bachelor’s degree or higher) or master a new skill (31.9%). These resolutions seemed to attract a more educated contingent at a significantly higher rate. 5. How about behind the wheel? 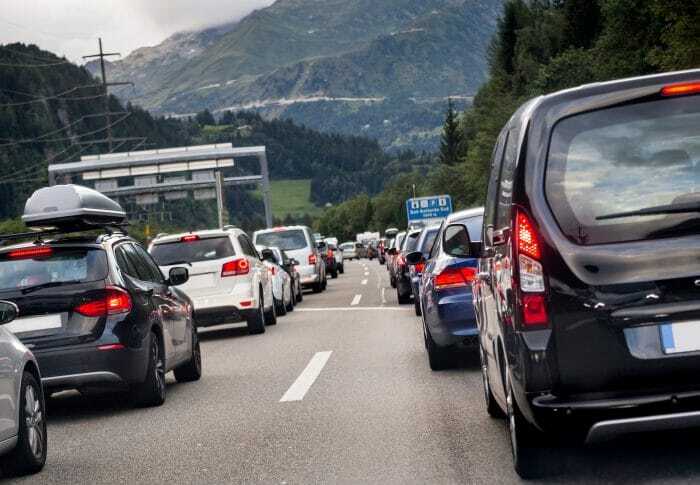 No matter one’s resolution for 2019, driver behavior over the last seven years was generally undifferentiated across all respondents. Between citations for speeding, driving under the influence, accidents, and license suspension, the bad-driving blues did not discriminate across drivers of varying levels and types of New-Year’s ambition. Perhaps there’s a compelling message of universality embedded in this data. Or maybe you should all pray for some generous car insurance packages in 2019.